Since 1999, we’re on a mission to give you the utmost extraordinary musical entertainment. 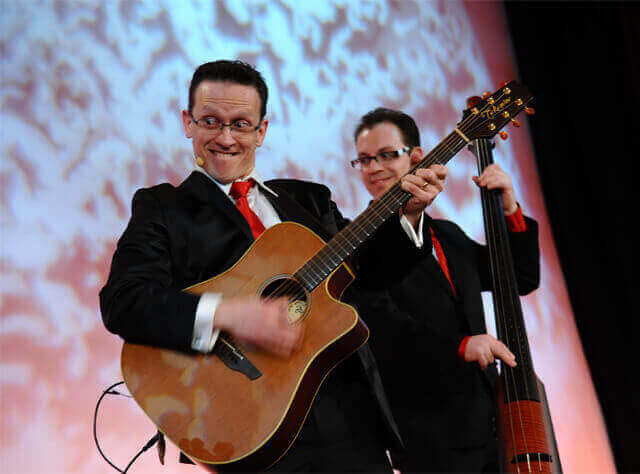 Either for an impressive on-stage show or for smooth background music, you can count on us to make your event most enjoyable. At the age of 3 years old, Patrice Painchaud entered the Music Conservatory of Quebec; a first in the history of music colleges. 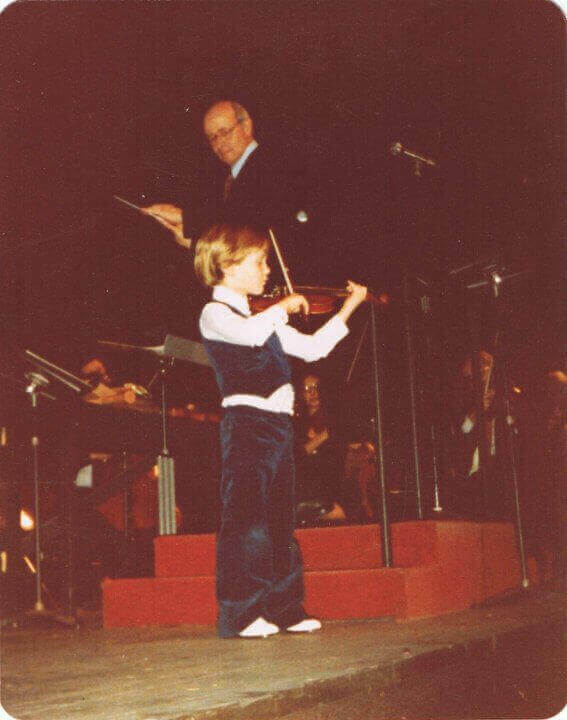 At 6, he was a concert performer accompanied by the Quebec Symphonic Orchestra 11 times in a row. That same year, he performed for the Wolrd Francophone Summit held in Quebec City. At 9, he played in front of the prime minister of Quebec. At 15 years old, he won the gold medal at the Aramis provincial contest in piano. At that same age, he did a concert tour for two weeks in France with his brothers and sister under the name of the Painchaud Quartet. In 2011, 2012, 2013 and 2015, he was in charge of arranging and performing at the Quebec City’s New Year show; a show that now attracts gatherings of more than 50,000 people. In June 2011, the International Insurance Society hired him to play for their event at the top of the CN Tower. In October 2008, he was hired by the Cirque du Soleil to play in the Pepsi coliseum as solo violinist for their show celebrating the 400th anniversary of Quebec City. This was a sold out show performed 5 times in front of 16500 people each time. In May-June 2008, he was once again soloist with the Quebec Symphonic Orchestra for events such as the Quebec Tourism Grand Prix Awards and the 71th convention of the Federation of Canadian Municipalities. In March 2007, he did a show in Banff (Alberta) in front of 240 international journalists to promote the Quebec City area. Five years in a row (1999 to 2003), he played in front of an averaging 200,000 crowd at the National holiday show in Quebec. These shows were furthermore broadcasted on 20 giant screens, two simultaneous major TV channels (in Canada and France), and on two major Quebec radio stations (FM 93, CKOI FM). He teamed up there with some legendary singers such as Paul Piché, Robert Charlebois and many more. For the year 2000 edition, he also produced, orchestrated and conducted eleven violonists. For 2002 and 2003, he was also doing the support act of the National Holiday show with his brothers and sister. In February 2002, he was performing at the opening show of the Carnaval de Quebec (the biggest winter carnival in the world) with the Award winning group “La Chicane”. He’s also been hired in Washington D.C. (March 2001), New York city (May 2001) and Chicago (November 2004) to help promote the Quebec City area. Since he is 16, he’s been working on numerous stages in Canada, United States and Europe, among other things for Quebec’s Philharmonic Pop Orchestra featuring Celine Dion. Many conventions gave him the chance to visit great cities such as Las Vegas, Paris (France), Nassau (Bahamas), Seattle and Orlando. In the years 1996 1997, he was part of the musical group Okoumé whose album went platinum. In 2006, he recorded on an album called “Quand le country dit bonjour” which also went platinum. In 1999, he produced his own record called “Chauffé au bois” (wood heating). He was named Young Entrepreneur of the Year by the Musician’s Guild in 2001.